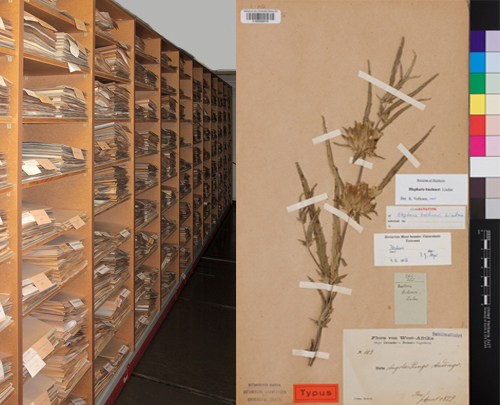 The combined herbaria of the University (Z) and ETH Zürich (ZT) include some 3.8 Mio. specimens of vascular plants, mosses algae and fungi from all areas of the world. Our collection is among the 15 largest herbaria worldwide and takes in Europe position eleven and in Switzerland position two. The herbarium of the Zurich Succulent Plant Collection focuses entirely on the diversity of succulent plants from all over the world and counts about 25'000 specimens.